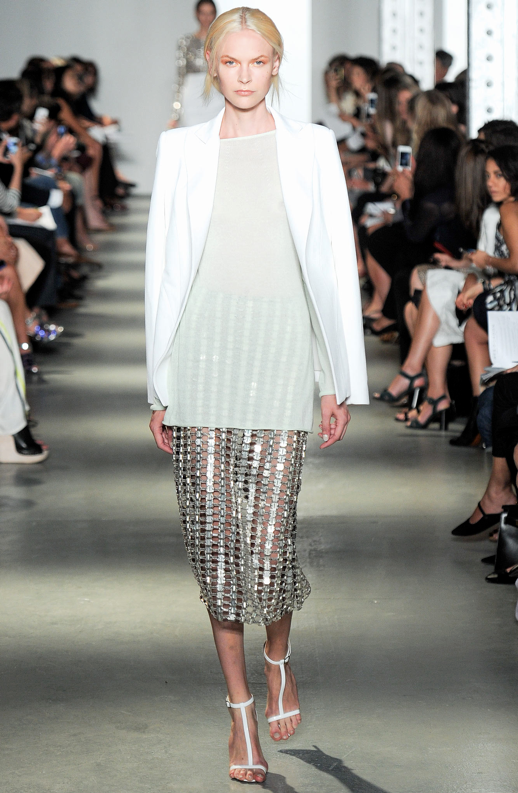 The Wes Gordon S/S 2014 show was one of my favorites from NYFW. All of the looks had a romantic edge, especially the first look. Obsessed with the satin rose-colored coat, the black midi lace skirt and strappy black patent sandals.